Got an old Apple you want to talk to? Apple Disk Transfer ProDOS (ADTPro) transfers physical disks and disk images between Apple II-era computers and the modern world. It can even get your Apple running if you don't have any disks at all. The host (server) component runs on today's computers with Java, and the 8-bit Apple (client) component runs on any Apple II or Apple /// compatible computer with 64k of memory or more. The latest ADTPro can always be downloaded from the Github releases page. 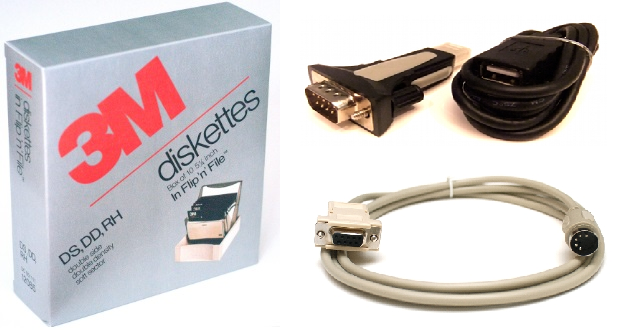 If you find yourself in need of serial or USB cables to connect to your Apple II, or just blank disks - commercial partner RetroFloppy has just what you're looking for. Visit the store at retrofloppy.com/products. 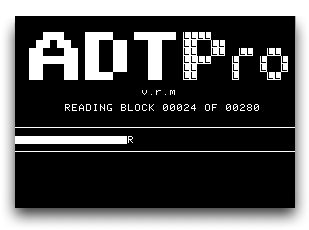 If you already have a way to transfer virtual disk images to your Apple, you can use that to transfer the latest disk image containing ADTPro that comes with this project (ADTPRO-2.0.3.DSK or ADTPROSOS-2.0.3.DSK) to your Apple. 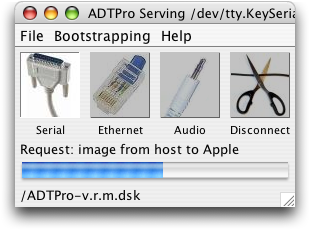 Reboot the Apple with the ADTPro floppy, and you're ready to go. See II serial or II audio to get started with an Apple II. See /// serial to get started with an Apple ///.